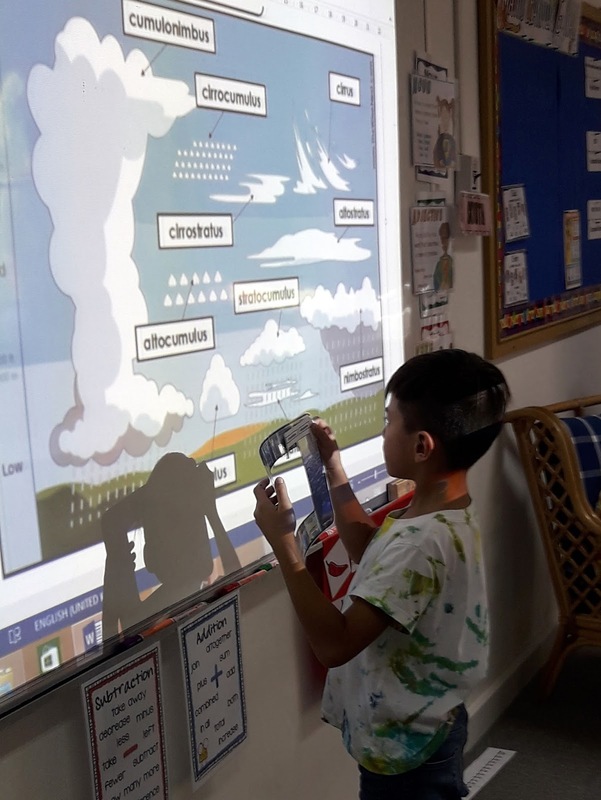 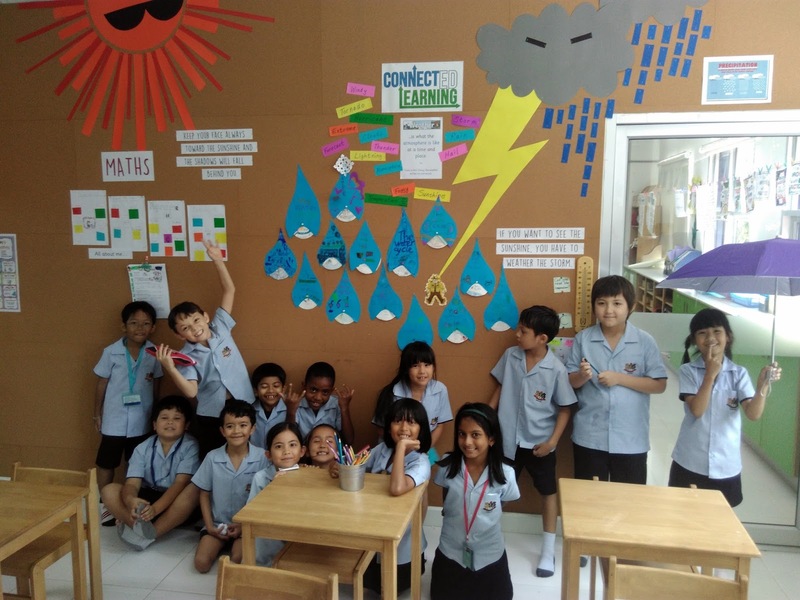 we have been doing in our study of weather and climate. 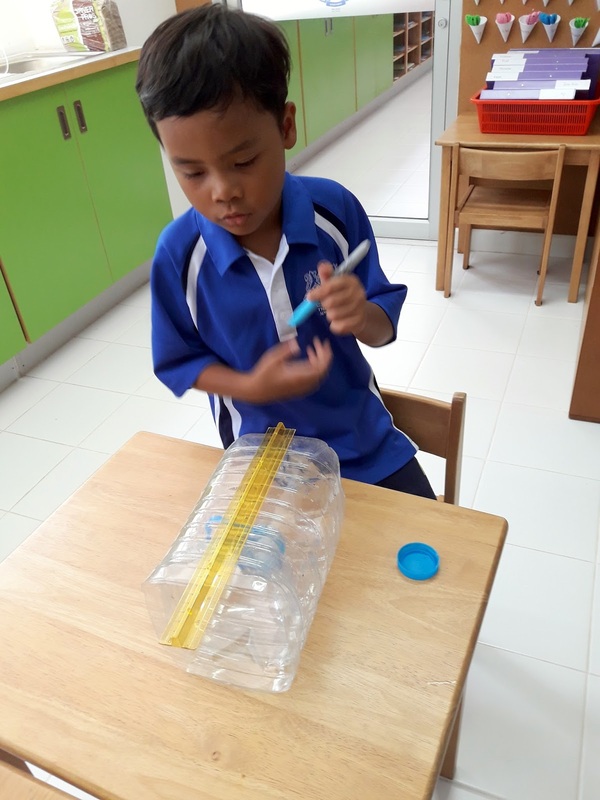 We made our own thermometers to look at changes in temperature and we also made our own rain gauges to record the rainfall. 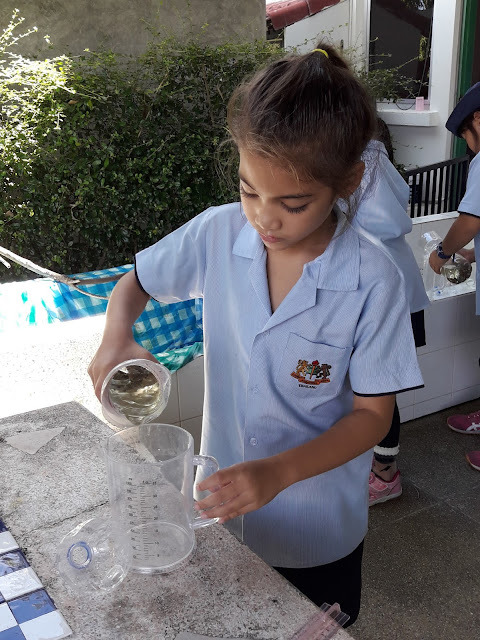 Plenty of that now! 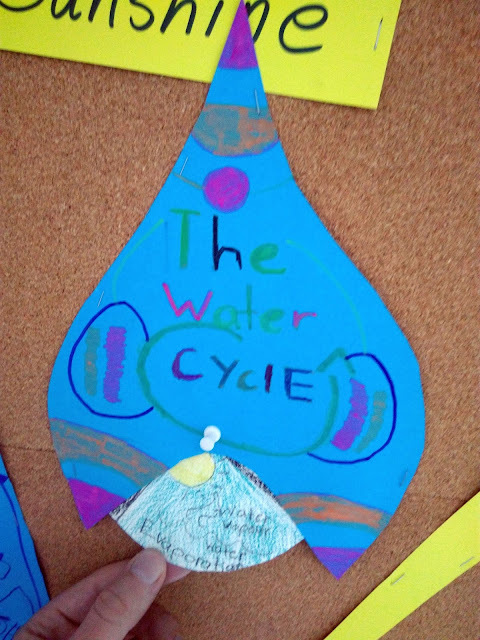 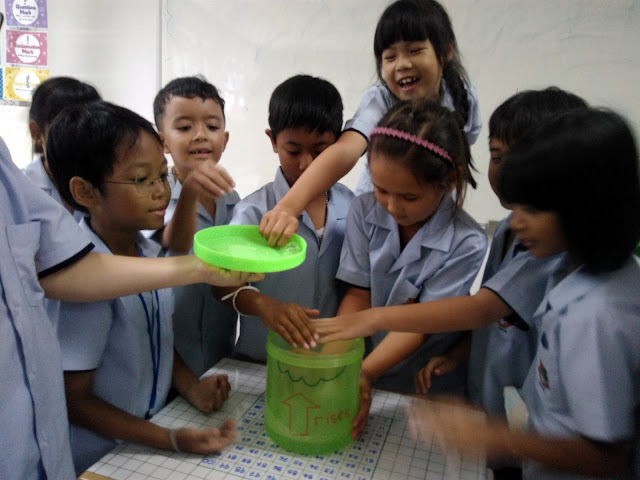 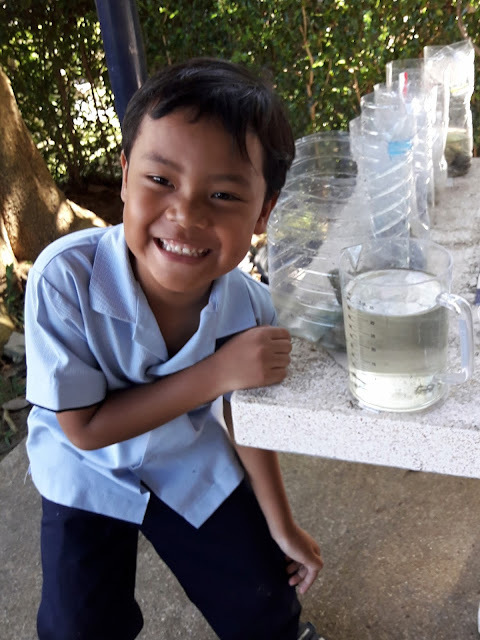 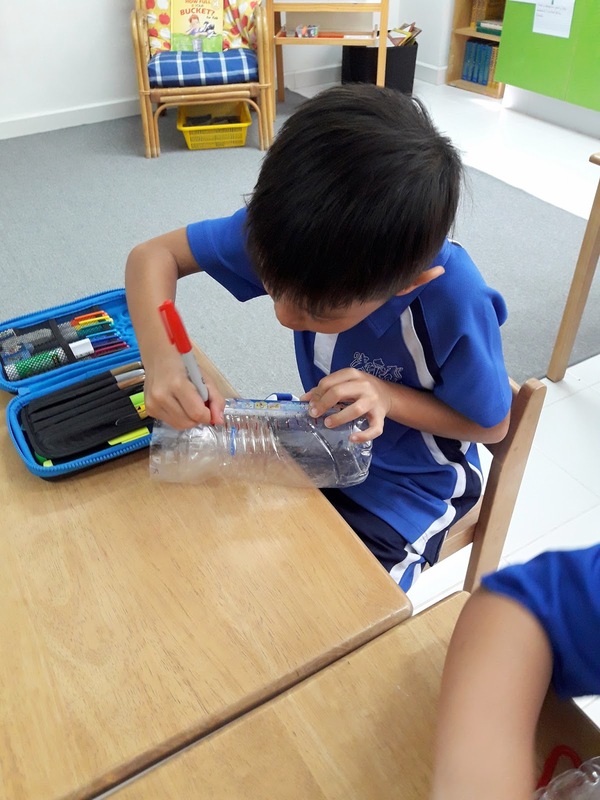 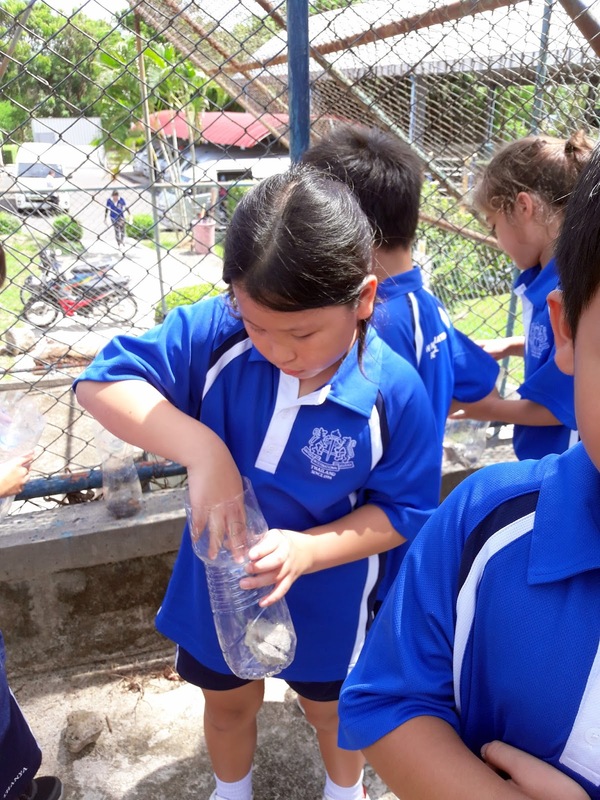 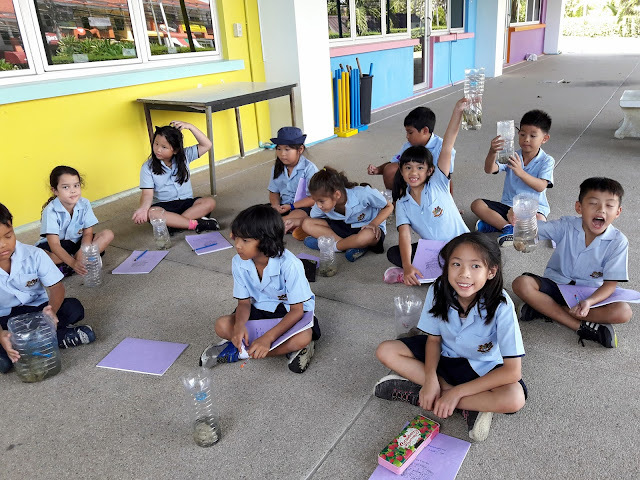 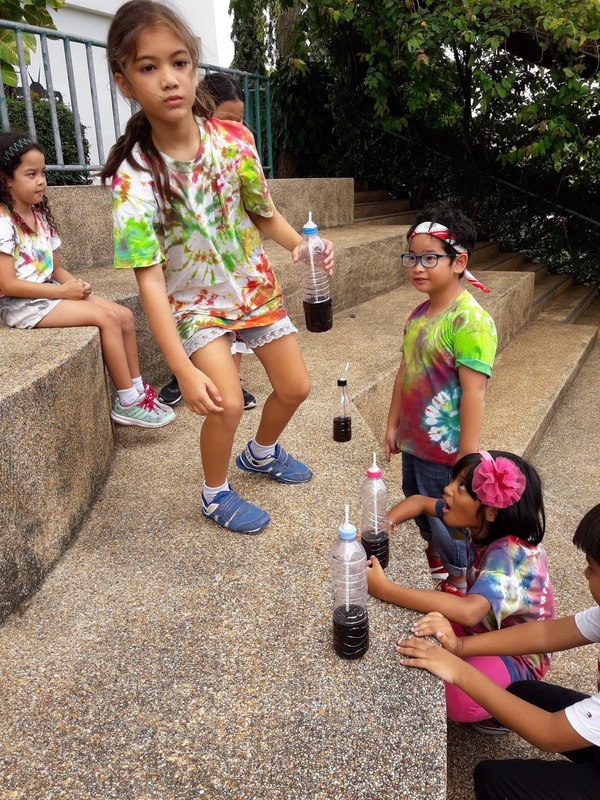 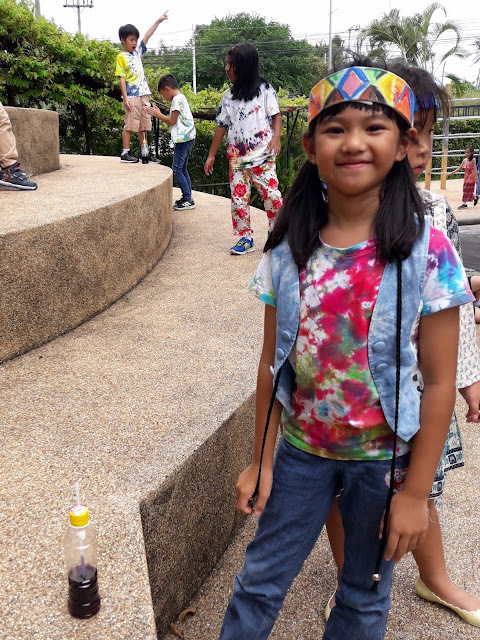 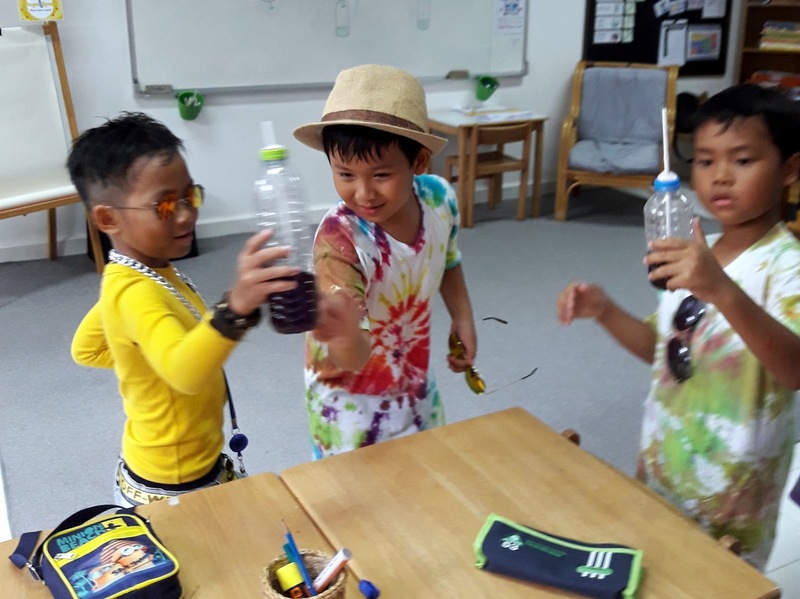 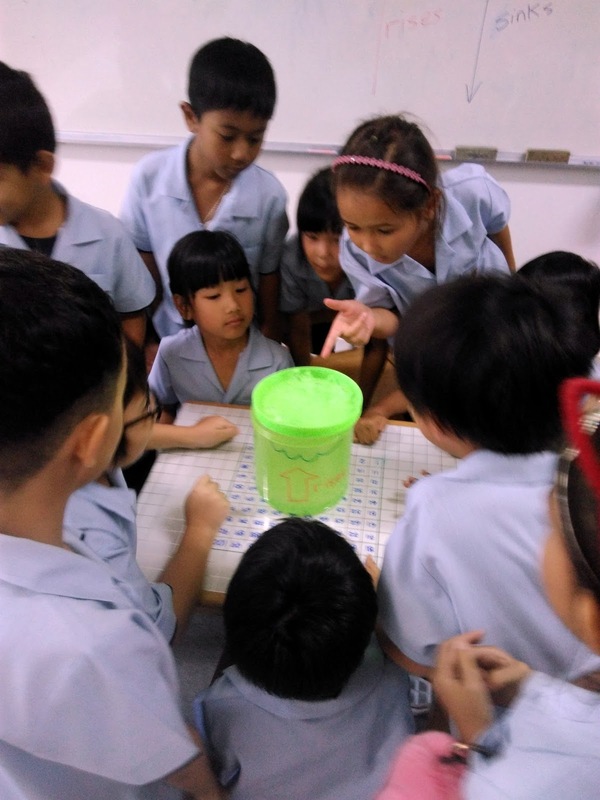 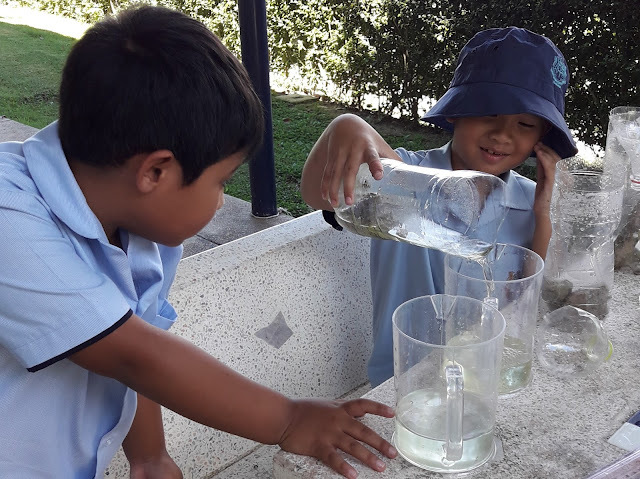 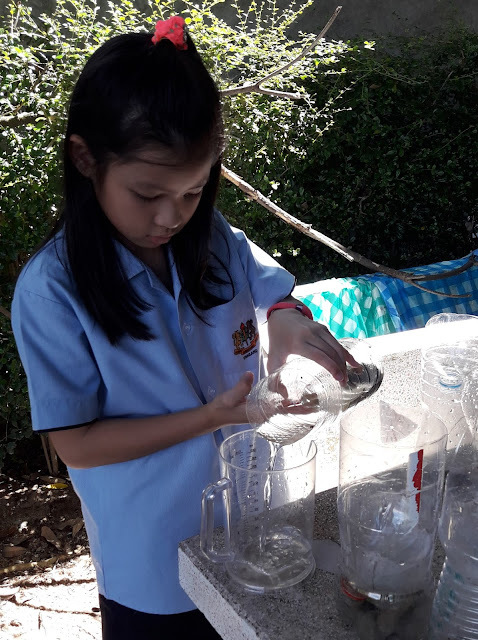 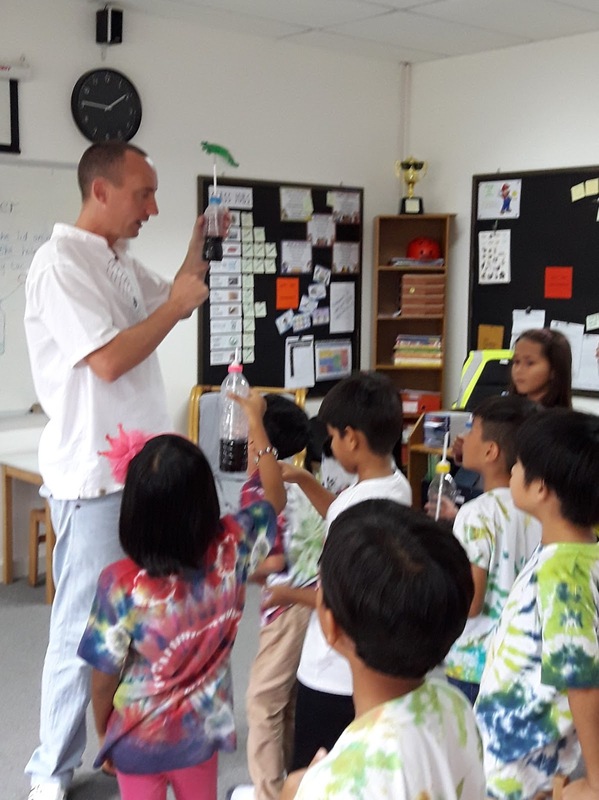 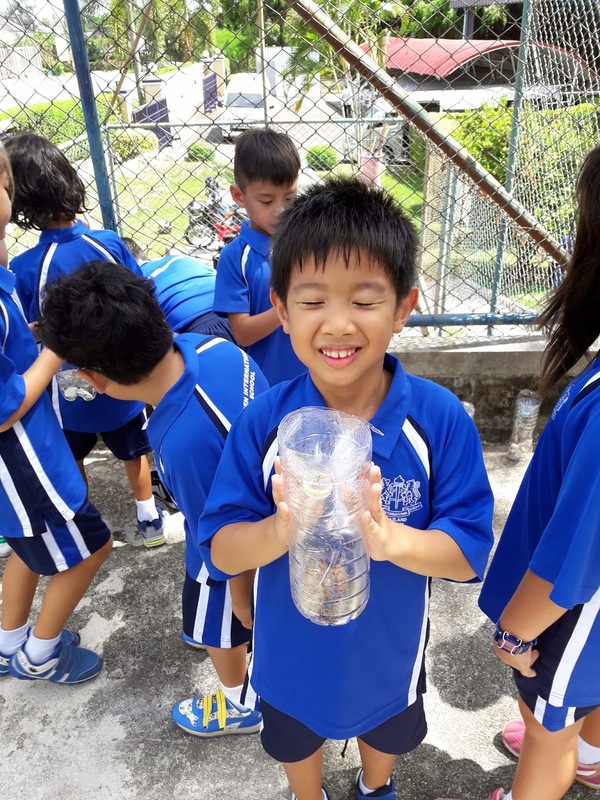 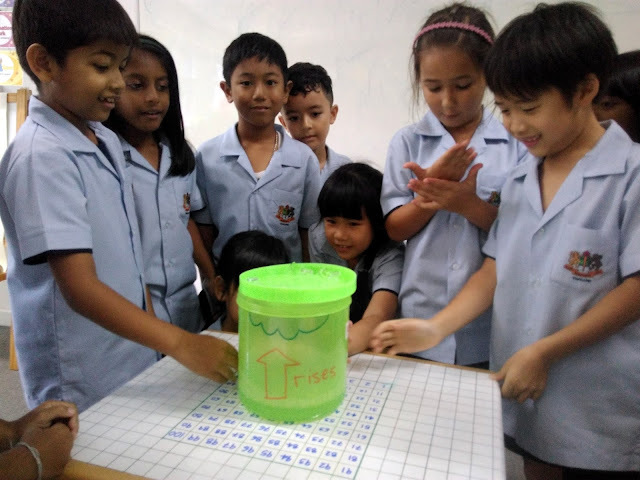 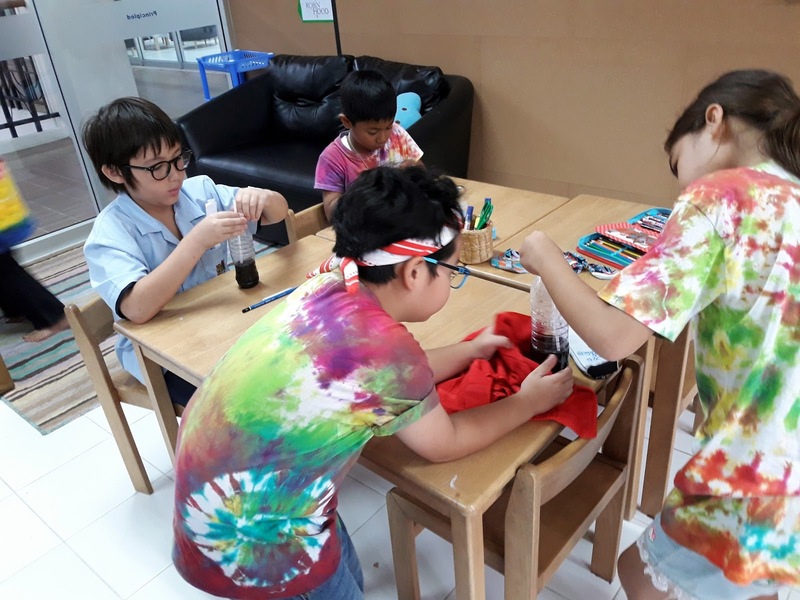 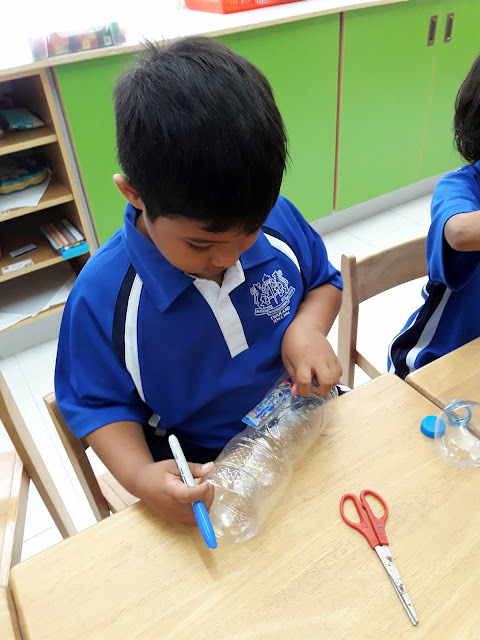 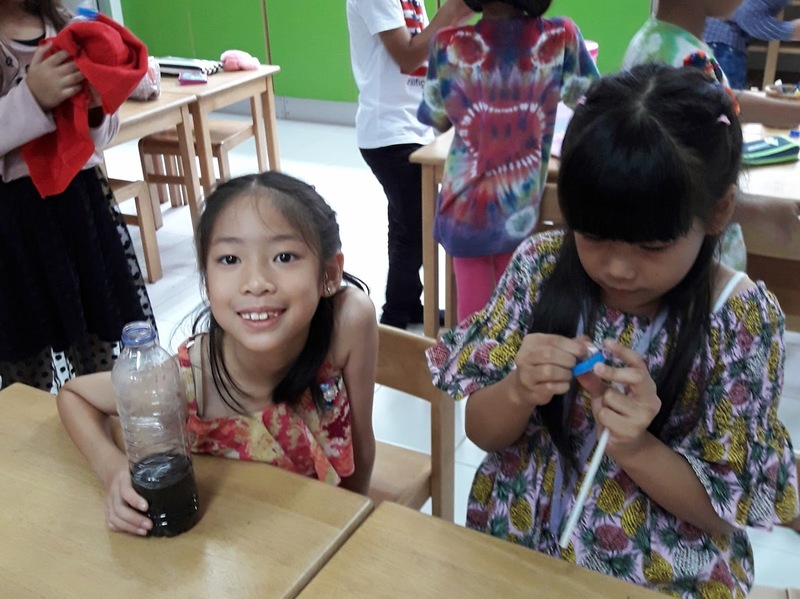 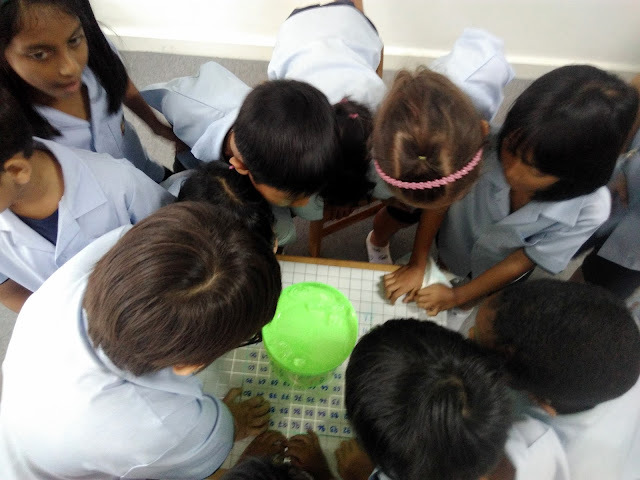 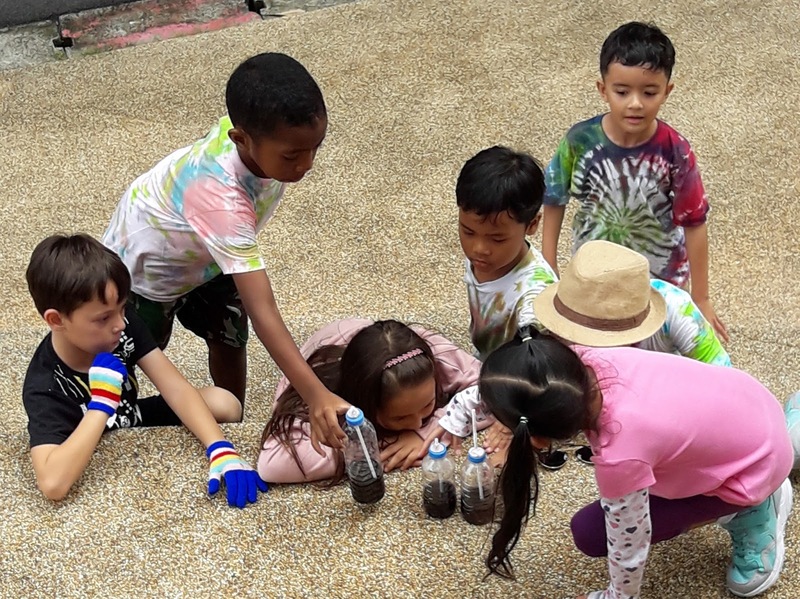 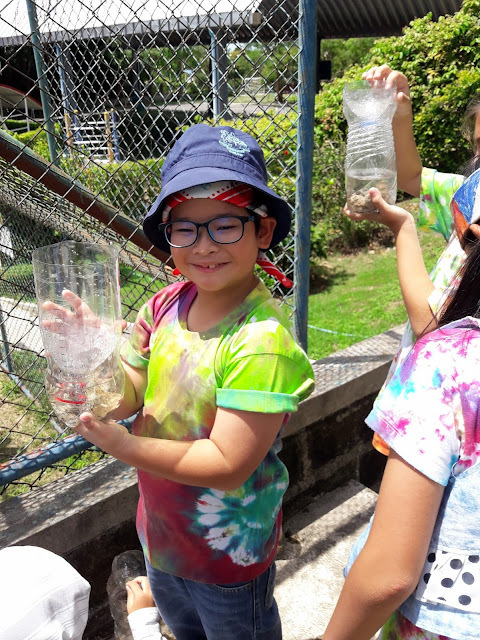 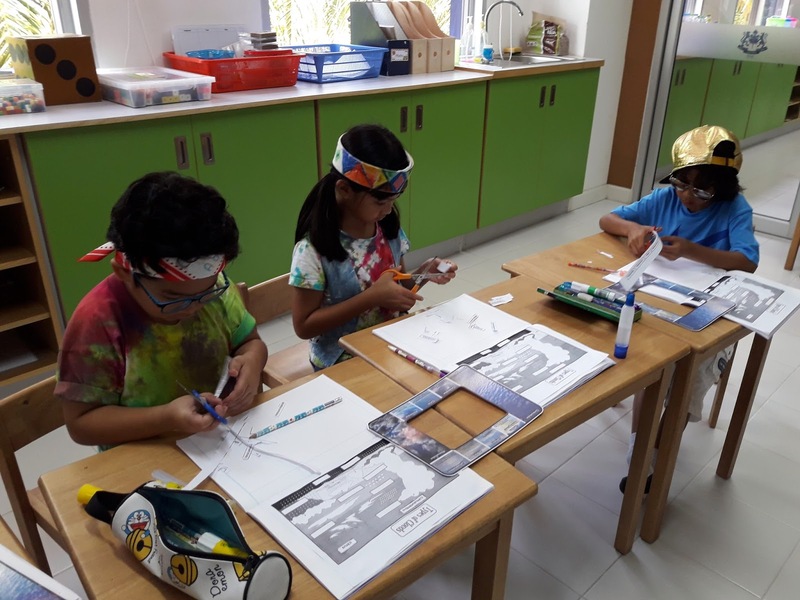 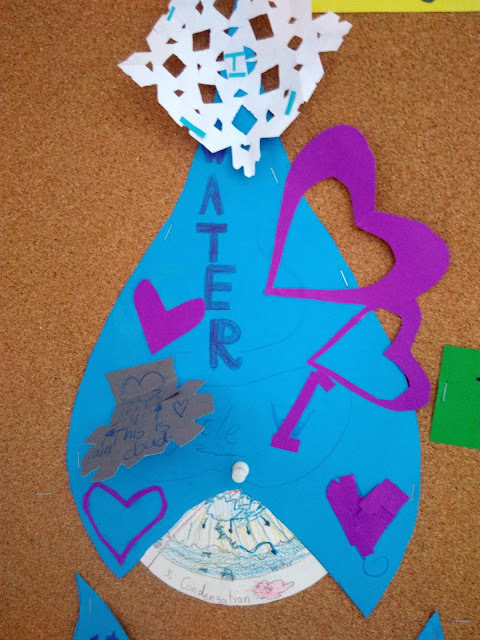 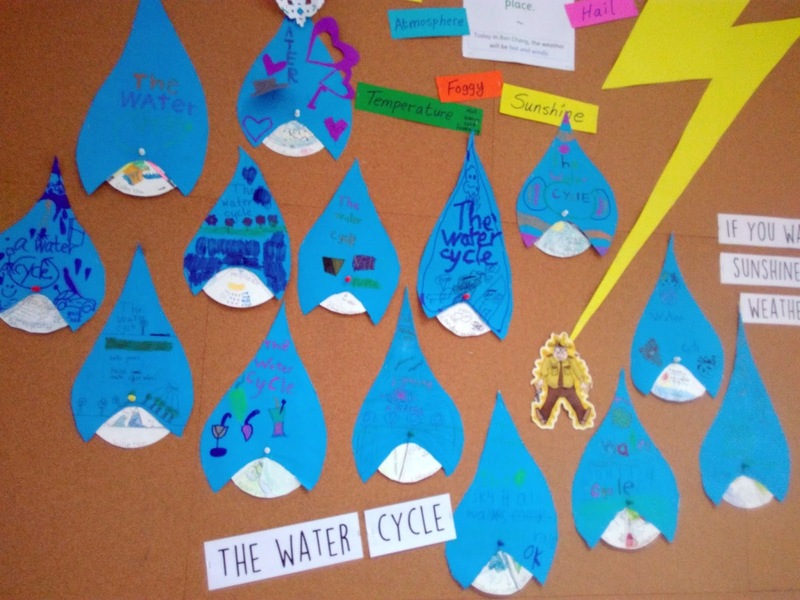 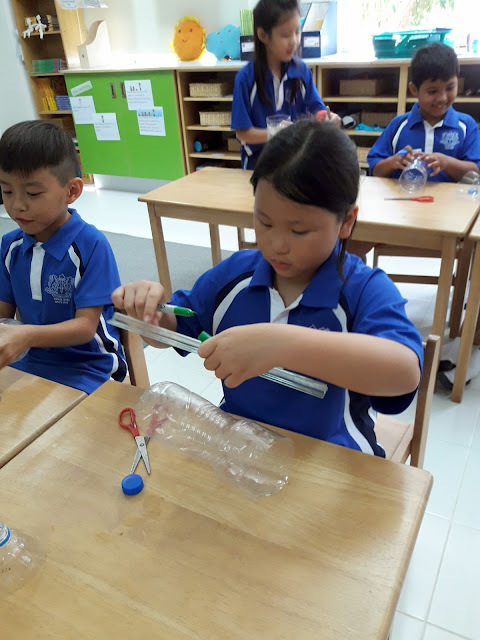 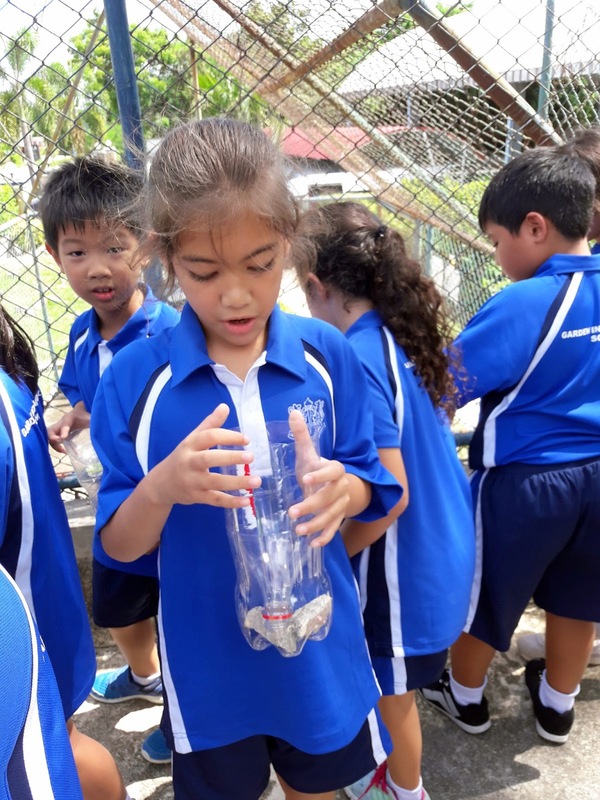 We created a water cycle droplet wheel to show the main stages of the water cycle and we also saw a demonstration of the water cycle on a small scale. 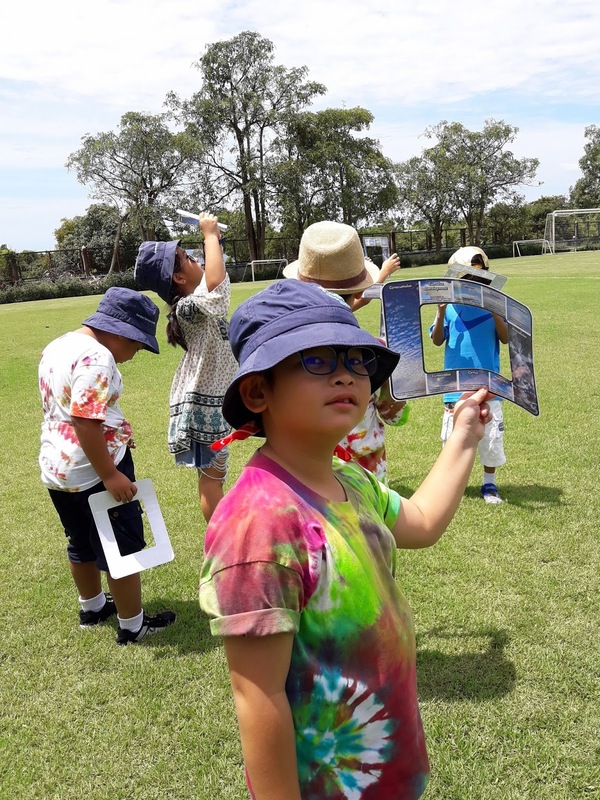 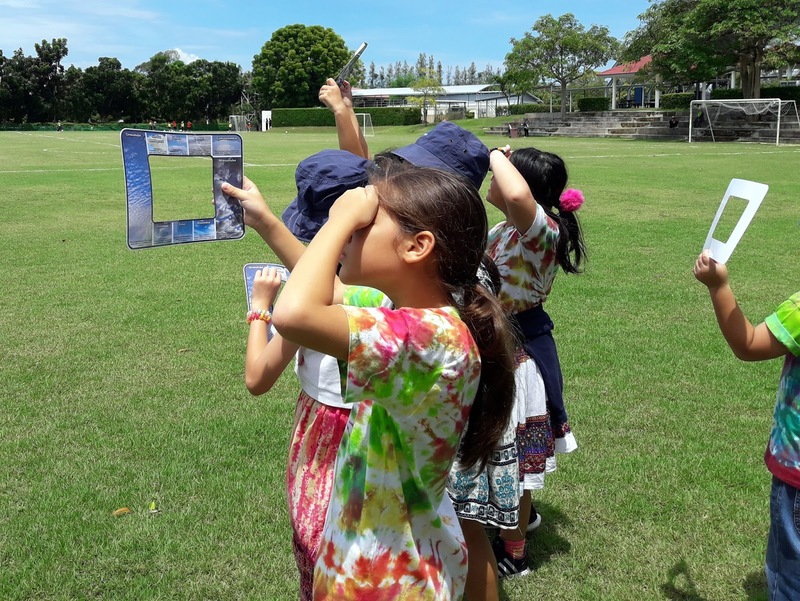 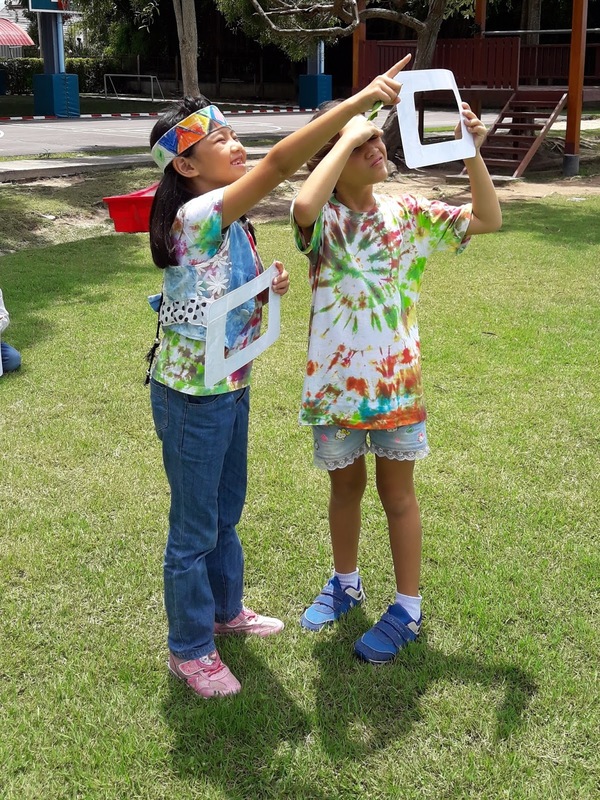 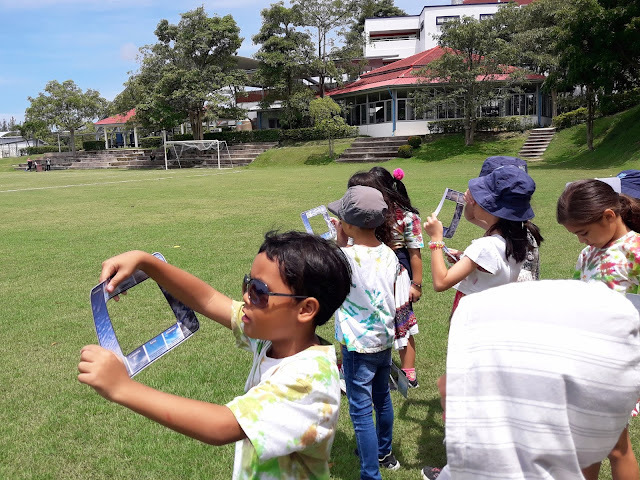 We also went out to try and identify the different types of clouds in the sky with our 'cloudnoculars'.